Jurgen Klopp believes the intensity of their domestic commitments hurts the chances of English clubs in the European Champions League. The last Premier League side in Leicester City made their exit from the tournament after a 1-1 draw against Atletico Madrid on Wednesday morning. 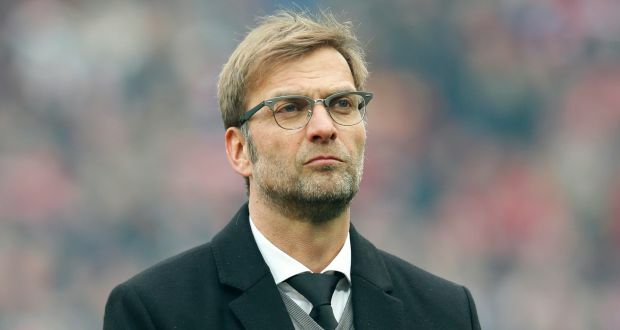 With no team from England having made the final of the continental showcase since 2011-2012, Klopp pointed to the number of other competitions they play in, plus a more even financial landscape as reasons the Premier League outfits have struggled in Europe. “The league’s [EPL] super intense, it demands a lot from you,” said the Liverpool manager. “It’s a notch above the Bundesliga. “Because there are more teams, two cup competitions with replays or two semifinals in the League Cup. Thus, all those teams fighting for the top positions with you are certainly not only throwing with cotton wool balls. Liverpool are on the verge of making a return to the Champions League themselves next season. The Reds appeared in the final of the Europa League last year after defeating Klopp’s former side Borussia Dortmund along the way, but the German says that they had little fuel for a battle against Sevilla. “I was in a state of emergency,” he added. “To prepare for such a match five months after I started here, seven months after I left BVB on amicable terms, was a personal challenge. Looking back today, the last 30 minutes was one of the most emotional half-hours I ever experienced.